Hunter graduated from Indiana Univeristy in 2017 with a degree in Marketing and a minor in Religion/Religious Studies. Hunter currently works as a Business Development Representative with enVista. Natalie graduated from Indiana University in 2017 with a degree in Marketing. Natalie currently works with Stanley Black and Decker Inc. as a Sales and Marketing Specialist. Tanner graduated from Indiana University in 2017 with a degree in Logistics, Materials, and Supply Chain Management. Tanner currently works as a Supply Chain Practicum at Toyota Industrial Equipment Mfg., Inc.
Abe graduated from Indiana University with a degree in Exercise Science in 2016. Abe currently works at the Tri-County YMCA in Ferdinand as a Program Coordinator that includes running youth programs, teaching a high school class, and directing exercise classes for senior citizens. Abe is also a Varsity Boys Basketball assistant at Forest Park High School. Alleigh graduated from Indiana Univeristy in 2016 with a degree in Graphic Design and Marketing. Alleigh currently works as a Digital Account Coordinator with Vivial in Dayton, Ohio. Ryan graduated from Notre Dame Univeristy in 2016 with a degree in Marketing. Ryan now serves the Gallo Brand Development Manager with the National Distributing Company based in New Mexico. Ryan also holds the title of the Management Development Program with E &. Gallo winery. Dalton graduated from Indiana University with a degree in management from the Kelley School of Business in 2017. He currently works with DistinXion as the Men’s AAU Director. Blake graduated from Indiana University in 2016 with a degree in Telecommunications. He now works with Equator Design as an Account Coordinator. Kayla graduated from Indiana University in 2017 with a degree in Marketing, Professional Sales, and Sport Marketing Management. Kayla now serves as the CRO Coordinator for Hanapin Marketing. 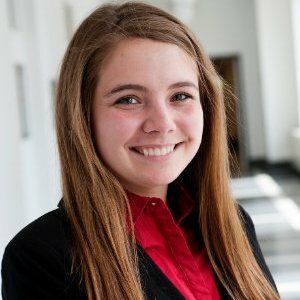 Elizabeth graduated from Indiana University in 2017 with a degree in Informatics. She now is currently pursing a Masters degree in Human Computer Interaction Design and plans to graduate by 2019. Elizabeth also serves as an Associate Instructor at Indiana University for Social Informatics. Jordan graduated from Indiana University in 2017 with a degree in Economic Consulting. Jordan graduated with a degree in Telecommunications and Theatre and Drama from Indiana University in 2016. He currently works as a part-time Multimedia Specialist for IU Public Safety and Institutional Assurance as well as the Technology Director for the Hoosier Basketball Coaches Association. Madison is currently a senior at Indiana University studying Design and Production. Madison also is apart of the Indiana University Radio and Television services and specializes in sports and news broadcasting. Allie graduated from Notre Dame University in 2017 with a degree in English and American Studies. Allie is currently working as an English Teacher at Providence Cristo Rey High School. Olivia graduated from Coastal Carolina University with a degree in Accounting. During her time at Coastal Carolina Olivia was part of the Women’s basketball team. Olivia now works as an Auditor at Crowe Horwath in Indianapolis. Jonah graduated from Indiana University in 2017with a degree in Biology. During his time at IU, Jonah served as a four-year Women’s Basketball Manager. Jonah will start in the MD program at the Indiana University School of Medicine in Fall 2018. He is currently working as a medical scribe at IUH Bloomington Hospital during his gap year between undergrad and med school. Elena graduated from Indiana University in 2016 with a degree in Telecommunications, and Production and Design. Zach graduated from Indiana University in 2017 with a degree in Accounting and Finance. 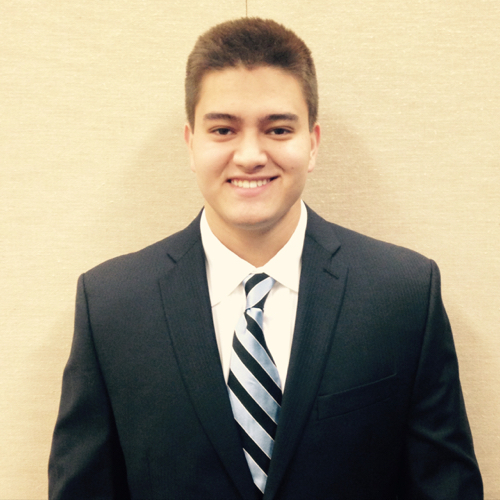 Zach now works as a Fund Accountant for SS&C Technologies.